A Calgary Optometrist and an Ophthalmologist both work in the eye care field and have specialized training to maintain good eye health. The following comparison will highlight the differences and similarities. Both the field of Optometry and Ophthalmology require many years of study in order to be certified to practice. To be a licensed Optometrist requires four years of College as well as four years at an Optometric College. They are not a certified physician, but can detect conditions such as Glaucoma, retinal disease, diabetes and high blood pressure during your eye exam. Their complete eye exam will determine if a patient is near or far sighted or has an astigmatism.The Optometrist will provide a prescription for eyeglasses or contact lenses should the exam show vision problems. The Ophthalmologist is a licensed physician and deals with eye disorders and disease. They have a four year Medical Degree followed by one year of surgical or medical training and at least three years in a residency program. This specialized training is the treatment of corneal disease, glaucoma, cataracts, neurological disease and eye tissue examination. Research, the development of eye abnormalities in children and reconstructive surgery around the eye are the focus of their work. Both the Optometrist and the Ophthalmologist can exam your eyes and determine if you require corrective lenses in the form of eyeglasses or contact lenses. The Ophthalmologist being a licensed physician would be consulted should a patient have serious eye disorder or disease that need more than corrective lenses. A referral is needed for an appointment with an Ophthalmologist, a visit to the Optometrist does not have the same requirement. 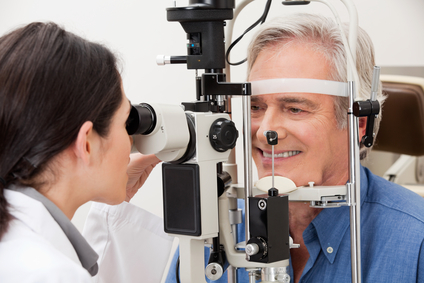 Eye exam are recommended every two years and yearly after the age of 65 to monitor any changes in a patient’s vision. Book an appointment with one of our Optometrists at Dr Wilson Eyecare with two convenient locations in Calgary Alberta for your eye care services. From sunglasses to eyeglasses we carry a wide selection of designer and children’s frames and are a full service optical store.